The driver, who was captured, had emigrated from Senegal and become an Italian citizen in 2004. Officers broke windows in the back of the bus and got all the passengers to safety without serious injury before the flames destroyed the vehicle, authorities said. ANSA quoted one of the students as saying the driver took all their phones and ordered the chaperones to bind the students’ hands with cable ties, threatening to spill gas and set the bus ablaze. ANSA said the chaperones only loosely bound several students’ hands, not everyone’s. 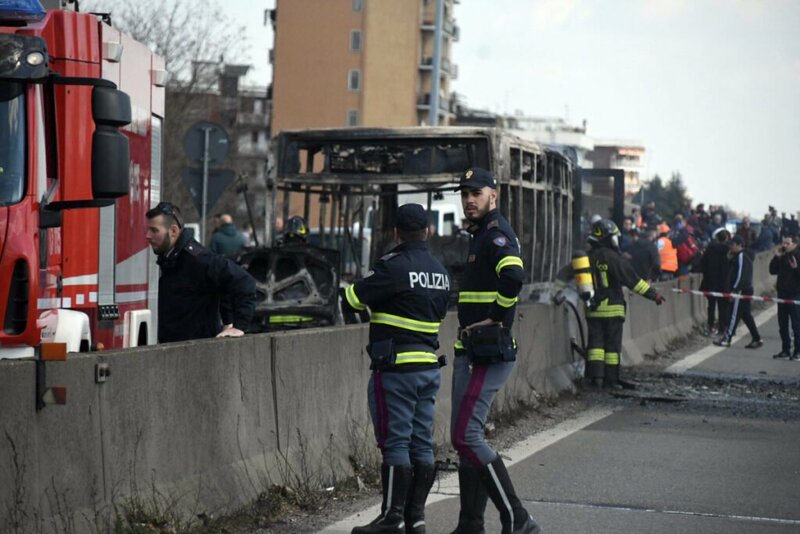 ”Investigators must clarify how the transport company permitted such a delinquent … to drive a bus, especially one carrying children,” said Riccardo De Corato, a Milan provincial official for security.